Alone in my dark room, laying in my cozy bed, completely relaxed after getting a much needed massage, a random thought crossed my mind. Being the Googler that I am, I reached for my laptop to find an answer. 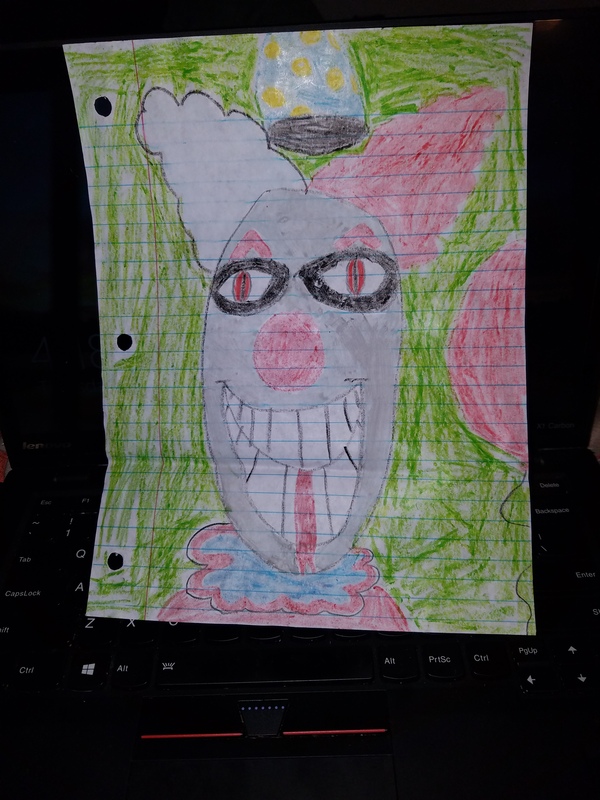 I very innocently opened the computer to see Beelzebub-o the Clown and his glowing eyes. The oh-so-hilarious-and-grounded Daught taped this monstrosity to my laptop before leaving for her dad’s last night. I’m looking for fun ways you scare your children around Halloween. Nothing gruesome or too terrifying, I’m just looking for a little payback.